I’m always looking for creative ways to sensitise my children to issues of diversity and tolerance. As a transplant, who made the brave move from India to the U.S. over a decade ago, bringing up a culturally sensitive brood is important to me. 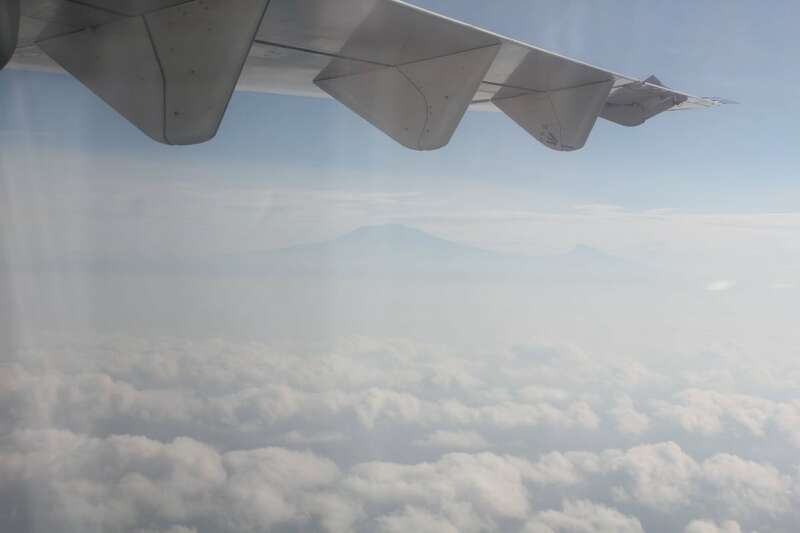 Floundering to find a foothold in a foreign country, it became clear to me that to survive in today’s global village, being respectful of intra and inter-group diversity is critical. As a result, I decided to accept my Indian identity with a flourish. Simultaneously, I eagerly learned all that I could about a vastly different country I had decided to call home. This mindset not only helped with the transition process but became a general outlook on life. The temptation to arrive at prejudiced and knee-jerk reactions was curbed. Instead, rationality set in to arrive at thought-through conclusions. In return, ‘the others’ were accepting of me and respectful of where I came from. 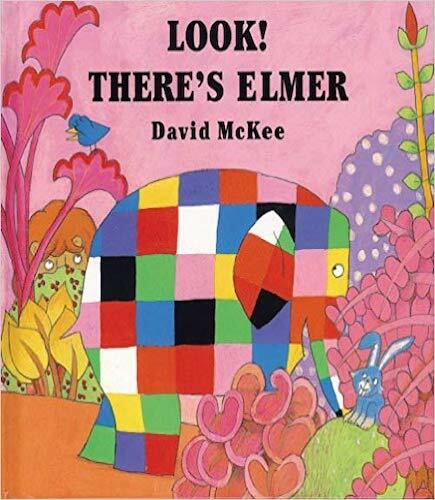 Given the trajectory of my personal journey, it’s no surprise then that Elmer by David McKee remains an exciting discovery for me. A few years ago, I chanced upon this endearing piece of children’s literature. Every time I read it to my first grader and preschooler, I find Elmer’s story a charming exploration of identity, diversity and acceptance- topics that are close to my heart. Elmer, the elephant’s story is set in an idyllic jungle, where the animals appear to live in harmony. He’s famous and stands out because he’s not grey like the rest of his herd, instead, his skin is a patchwork of bright colours. He’s lively, cracks jokes, and is well-loved. But he’s wary of being different. He wants to be like the rest. So, one day he sneaks out at the crack of dawn to cover himself with the grey coloured juice of a berry found outside the jungle. Once covered in the grey berry juice, he isn’t Elmer anymore, but just another elephant. He enjoys the anonymity and joins the herd only to realise that his friends miss his presence. To lighten up the mood, he startles them all with a loud “Boo!” Just then a cloud bursts and Elmer’s grey colour washes off, making his friends laugh even harder. They understand his conundrum of wanting to fit in and be like the rest of them, and decide to celebrate his uniqueness by instituting an annual ‘Elmer’s Day Parade’. 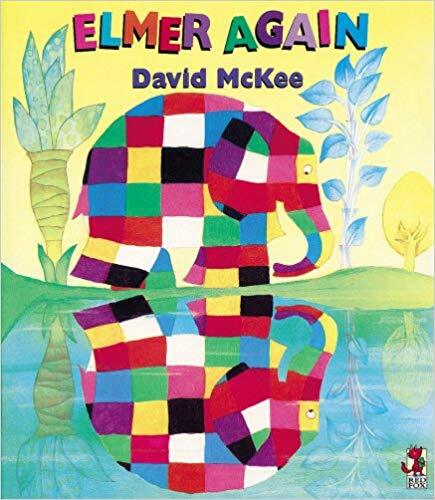 On that day, all the elephants transform themselves into colourful patchwork elephants, and Elmer colours himself grey. This seemingly simple story presents nuanced themes around diversity and identity for children and adults alike. As a parent, it has made me think about the many ways I could extend the “Elmer conversation” with my boys and make dense yet critically relevant concepts around tolerance and diversity more palatable for them. Here’s how Elmer’s story has motivated my actions as I endeavour to raise culturally sensitive kids. It may seem counterintuitive, but Elmer made me realise the merit in allowing children to see differences in colour. In fact, it should be encouraged. After all, isn’t Elmer’s myriad of colours a big part of what makes him so intriguing and lovable? Children notice colour. It’s a fact. Their curious brains notice more than we realise. It’s okay for them to ask questions like why their friend’s hair or skin colour is lighter or darker than theirs. Providing thoughtful answers could help them understand, respect and hopefully, embrace diversity. A blanket response on the lines of “we’re all the same” is not only inaccurate, but it’s also counter-productive. It impedes curiosity and makes kids (and later, as adults), dismissive of diversity and racial differences. Sociologists have maintained that a sense of community and being part of society is innate to human nature. Maybe that’s why Elmer wanted to so badly fit in with the rest of the herd. It was important for him to feel part of a larger whole. Our children, no matter where they live are no different. As an example, even at ages four and seven, my boys endeavour to understand where they are situated in the world. There are some simple ways to make questions of identity and belonging tangible for children. As an example, I put up a map of the world in my kids’ room. We talk about the continents, the various countries, and the cultural plethora thriving within these countries. These animated discussions meander and loop around to where they are in the country, the world, where their parents and grandparents come from. It’s a simple, yet effective way to visually anchor them in the world and provide them with a sense of belonging. An understanding of identity, racial diversity and cultural tolerance is incomplete without empathy. Empathy in children and adults is a key predictor of social and emotional success in varied situations – at an interpersonal level, at work, etc. Empathy also makes us more reasonable individuals. Teaching children to be empathetic, in a weird way, even makes their tantrums (somewhat) manageable. It’s true! Elmer’s story offers a gentle, yet firm reminder on the point around empathy. Elmer’s behaviour raises numerous conversations from this perspective. The most obvious question being: ‘Why is Elmer unhappy, even though everyone loves him?’ or ‘Why does he hide his colours in an even shade of grey?’ Finally, it’s heartening to see the herd’s true expression of empathy toward the patchwork elephant by instituting an annual festival named after Elmer to celebrate his differences. 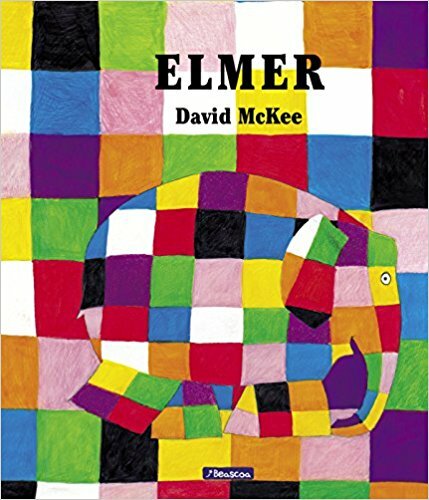 Elmer, the patchwork elephant’s story explicitly, yet simplistically weaves themes of identity, diversity and tolerance into its narrative. It offers its readers, both adults and children, an opportunity to think about and start a dialogue around these topics. Conversations that are basic to highly nuanced, depending on the reader’s age. 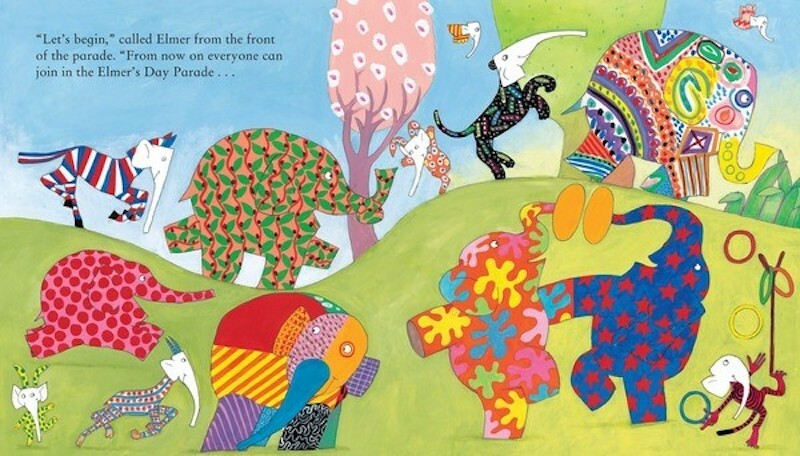 The biggest takeaway for me is that the patchwork elephant’s friends love him because he’s different. Consequently, as readers, we learn that it’s okay to see, embrace and celebrate diversity. Admittedly, as of now, I’m not fully certain of the impact of the Elmer narrative on my children. But I have much to thank Elmer for, and actively embrace the teachings of the goofy patchwork elephant. I foresee our elementary “Elmer conversations” broaden as life’s situations evolve and become more complex with passing time! 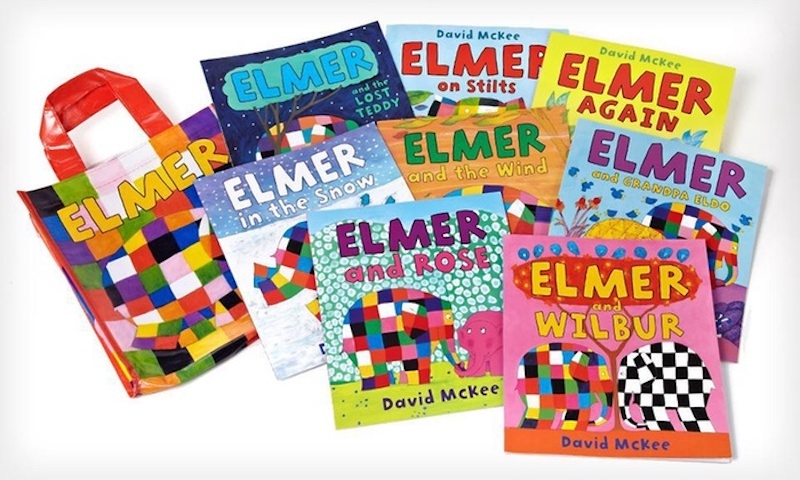 Have you read Elmer? Do you have any recommendations for books you’ve used to start conversations with your children around various issues? Share with us in the comments below.